Op-Ed: Is the Islamic State ready to open a battlefront in South Africa? The United Kingdom has updated its travel advisory for South Africa, warning that “terrorists are likely to try to carry out attacks in country”. The advisory follows the kidnapping of a couple in KwaZulu-Natal by two people allegedly linked to a so-called “KwaZulu-Natal IS cell”. There are two essential aspects that require response: the motive for the alert, and South Africa’s vulnerability to an attack. By JASMINE OPPERMAN. The travel alert indicates high levels of uncertainty in the West about the Islamic State’s next move, resulting in them reaching alarmist conclusions. Protecting their citizens across the globe overrides factual and verified alerts. Uncertainty is already seen in how the West is struggling to find an appropriate response to its citizens who have taken up arms alongside terror organisations but who want to return home to the countries of their birth. Suggested responses so far have included incarceration, killing them on foreign soil or merely refusing to accept them back into the country, leaving countries such as Iraq to deal with the problem. The advisory lacks detail and is vague in content, leaving more questions than answers. This begs the question of co-operation with the South African State Security Agency (SSA). Has there been any interaction and co-operation in attaining verification of any planned attacks? Intelligence co-operation is essential in enabling issuing alerts that are more comprehensive, factual and specific. The travel alert reflects an underlying frustration with a lack of sufficient co-operation, issuing the alert as a pressure point on the need for co-operation to share what is presented and urgent and crucial information with direct implications for South Africa’s security. The question also speaks to the SSA on the extent of co-operation with all intelligence services in countering terrorism. The lack thereof simply leaves South Africa more vulnerable. The real question is: Does IS have the support system in South Africa to open a battlefield here using tactics such as suicide bombings, knife attacks or vehicles ramming into pedestrians as has been experienced in Britain, France, Belgium and elsewhere? If we examine the “KwaZulu-Natal IS cell” case, what is apparent is that the alleged “cell” consisted of two members, Sayfydeen Aslam Del Vecchio and Fatima Patel, and was operated out of Ballito. At the time of her arrest Fatima Patel was already being watched. She was out on bail from a July 2016 counterterrorism raid in which the twin brothers Brandon-Lee and Tony-Lee Thulsie were also arrested. The ongoing court case raises the question of why the state is struggling in finalising it? Is there actually enough evidence to prove beyond reasonable doubt the intent and capacity to execute an attack? Given that the family of the kidnapped couple were neither aware that they had been kidnapped nor that they were even in danger, it’s clear that the members of the “cell” had not contacted them with ransom demands. So the true intention of KwaZulu-Natal cell kidnap/hostage taking is unclear and the known facts are too insufficient to hazard a guess. What is clear is that Islamic State-inspired supporters in South Africa appear to be amateurs. It’s worth noting that when Patel’s property in Azaadville was raided in 2016, police seized 20 rounds of ammunition and a stun grenade. Hardly an arsenal for a full-scale assault. That said, it is Islamic State’s propaganda that motivates individuals to act and in the recent raid of Vecchio and Patel’s base in Ballito, unspecified amounts of IS propaganda was recovered. In previous articles, Terrorism Research and Analysis Consortium (TRAC) indicated that South Africa has a receptive audience for IS propaganda. In an article published in Daily Maverick, detail was made available on de-radicalisation programmes of those falling victim to IS propaganda in South Africa. The underlying concern of an IS presence in the country cannot be denied. Based on the current stream of fan-generated IS propaganda, the drum beat calls for attacks anywhere; all the time. At least half the content is generated in English, so it’s tailor-made for fans who do not speak Arabic. 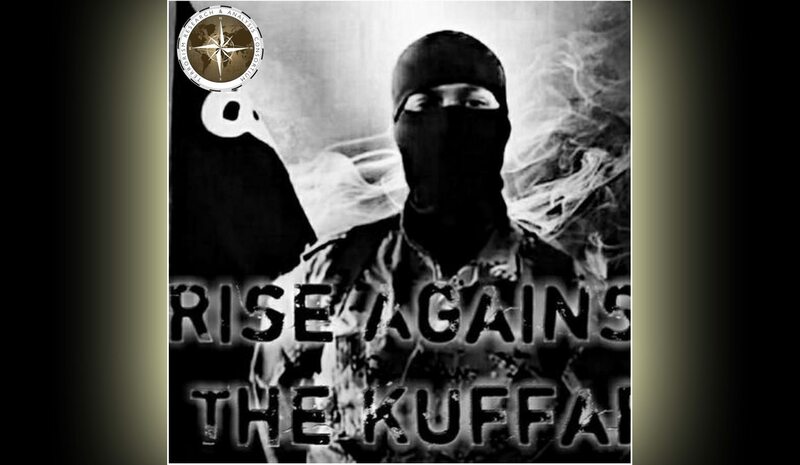 The constant stream of new content generated by fans combined with the official content generated during the Caliphate’s heyday requires attention. South Africa, like any other country in the world, cannot deny its vulnerability to an attack. However, it should not rely on vague and general statements for this creates panic and has direct implications for business, tourism and political relations. Reliance on a the country’s status as a democracy and a perceived neutral foreign policy as far as the Middle East is concerned to prevent an attack is naïve. The public deserves assurances that terrorism is taken seriously by means of tangible counterterrorism measures in dealing with attacks. If not, panic will reign, playing into the hands of terror organisations. The real question is not if the KwaZulu-Natal cell were amateurs, but how many South Africans are listening to the IS drumbeat? More important, is the the SSA in a position to investigate and counter the risk of cell structures, if there are concerns with South Africans returning from the Caliphate – does the SSA have the capacity to monitor and track their activities on a 24-hour basis? The travel advisory must not be taken at face value due to a lack of fact and detail. However, it is forcing South Africa back to basic questions on what is required to overcome the IS drumbeat of endless propaganda.